The Library is one of the comedy bar and restaurant found before all comedy bars in the metro, the founder and god father of all comedy bars Mr. Andrew De Real started it. The first branch is in Malate Manila entertaining and making so many laugh out loud and giving job to the singer and stand-up comedians. 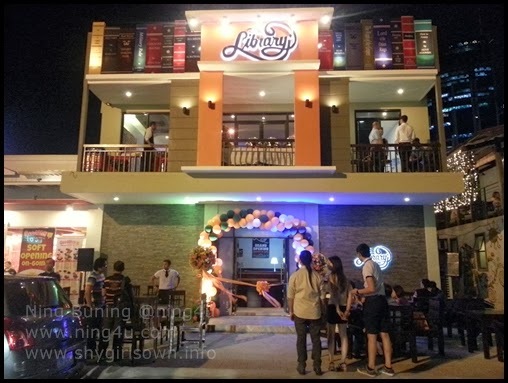 Recently, another branch opens at the heart of ortigas THE LIBRARY Metrowalk Ortigas, Mandaluyong City. The opening ceremony was attended by famous celebrities, singers and comedian of our country headed by Ms. Pokwang.